Another year of great movies, another year of great music within those movies. I love soundtracks and always have. At one point in college my shelves were lined with dozens of CDs, soundtracks whose music allowed me to relive those movies. Music can bring so much power to a scene, and after seeing the film, you put that music on anywhere and let it fill your mind with best moments that movie had to offer. There were great collections of movie music in this year, so many that it was difficult coming up with my Top 10 Best Soundtracks/Scores of 2014. But here are the tunes that I will be enjoying for years to come. Read on! "I didn't want to give the audience this impression of 'film watching.' That's often how I feel with score music. I become aware of it." 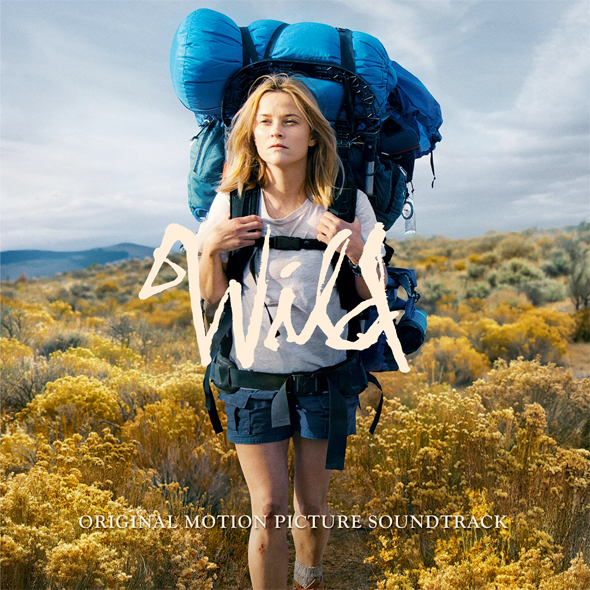 Those words came from director Jean-Marc Vallee when he spoke to The Playlist about his latest film, Wild. The staggering slate of music he collected for Cheryl Strayed's journey includes some hidden gems like "Glory Box" by Portishead, First Aid Kit's cover of R.E.M. 's "Walk Unafraid," and "Suzanne" by Leonard Cohen. A little personal note: If you put Leonard Cohen on your soundtrack there's about a 90% greater chance I'll check out the rest of the soundtrack. "Tougher Than the Rest" by Bruce Springsteen and "Homeward Bound" by Simon & Garfunkel are only a few more examples, oldies but great-ies, of this more-than-solid collection Vallee has pieced together. As grounded and arcadian as Vallee's soundtrack to Wild is, Jonathan Glazer's soundtrack for Under the Skin is a complete 180. First-time composer Mica Levi seems to have one purpose with her score, to jar the audience. And why not? That's the general mood Glazer is trying to set with Under the Skin, and it's something he and Levi pull off masterfully. With Banshee-like shrieks of strings that seem to resonate through you and an equally odd percussion that lulls you into something of a dream-state, Levi's score may be the absolute best thing to put on as you're laying down for bed. Just don't blame the composer for the nightmares that follow. That's kind of the idea. 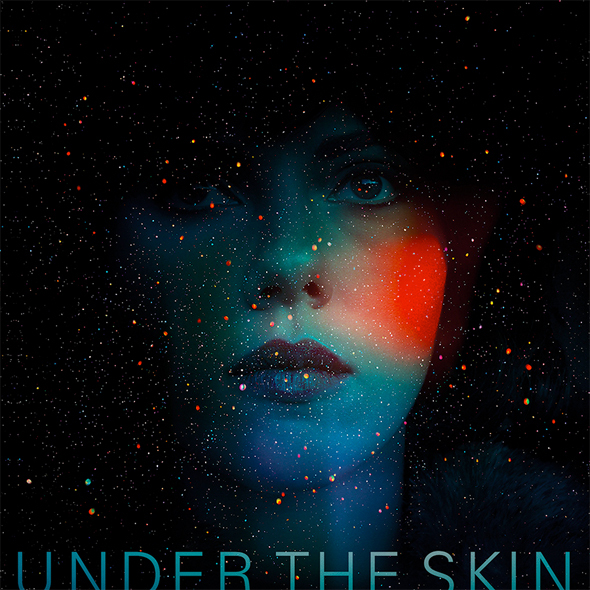 Under the Skin's unsettling atmosphere bleeds into every track on its score, certainly the best "experimental" score 2014 gave us. Sorry, Birdman's drums. The saying goes that everything old becomes new again, and, as a child of the '80s, I'm thankful we've finally come back around to the synthetic pop of neon beats and heavy-hair power ballads. At least director Jim Mickle gets it. 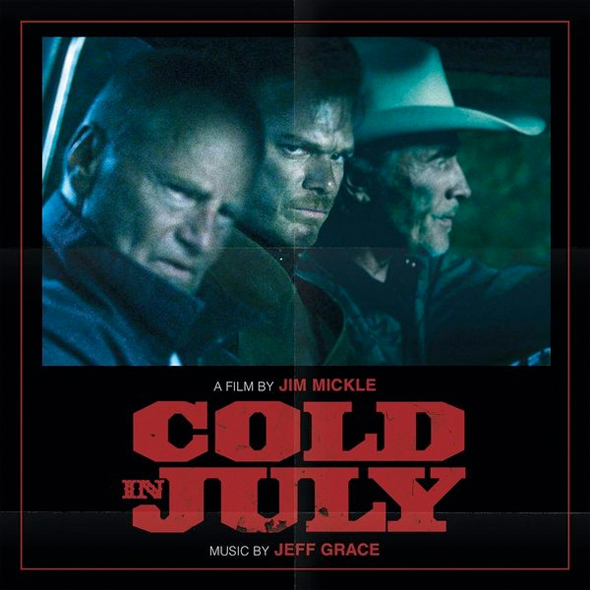 His soundtrack for Cold in July features some totally awesome tracks like "Cosmo Black" from Dynatron and "Wait" from the hair-metal icon, White Snake. "Dangerous Man" from Omar and the Howlers and "That's What Your Woman Is For" by Johnny Appleseed add to the film's rustic setting nicely. However, it's Jeff Grace's atmospheric score, somewhat reminiscent of classic John Carpenter, that ties the mood of this '80s-inspired neo-western together with bright, shiny, neon bow. We'll be touching on the '80s further down the list, as well, but Cold in July has a soundtrack and score worth seeking out. One of the more interesting indie gems in 2014, Frank is a film about an avant garde band, The Soronprfbs, who secludes themselves in a cabin to come up with the ultimate artistic piece of music. Oh, yes, and they're headlined by Michael Fassbender wearing a giant, foam mask. But that quirky premise makes way for some very interesting and, sometimes, enlightening musical moments that made Frank one of the more enjoyable experiences this year. With music and songs written by Stephen Rennicks, the tracks most worthy of finding are "Secure the Galactic Perimeter" and "I Love You All." 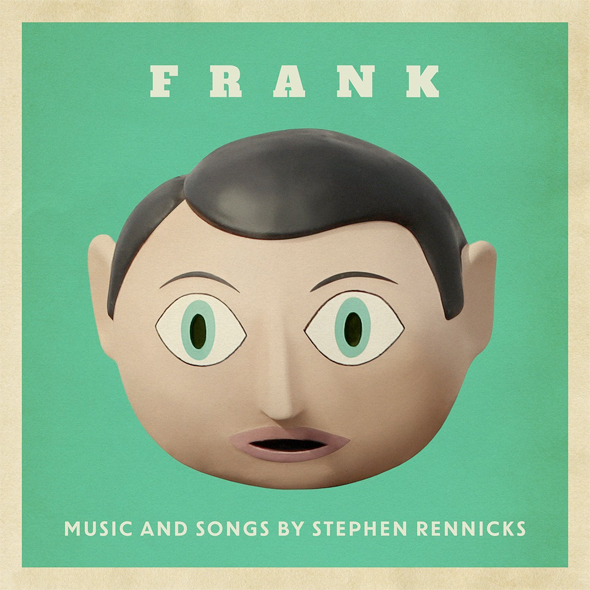 The latter of those you'll likely have stuck in your head for days, but if the full soundtrack for Frank proves anything it proves The Soronprfbs have a wickedly inventive sound, good enough, we hope, to warrant a future Frank stage-show. Everything is awesome! 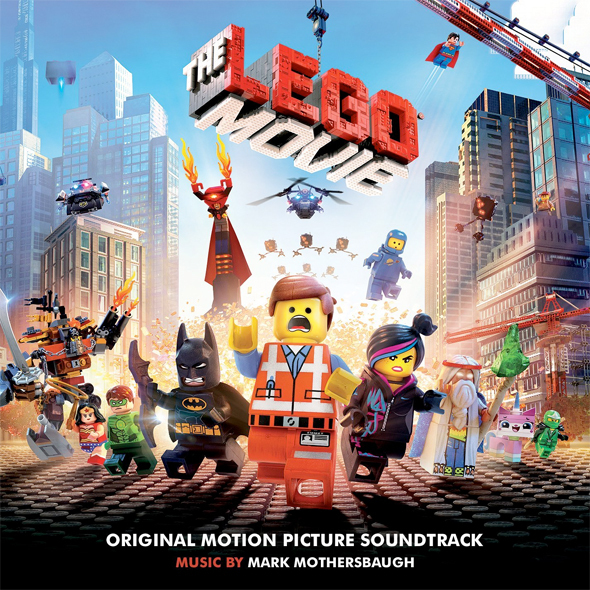 And, if you've seen The LEGO Movie or had the fortunate opportunity to listen to its soundtrack, you'll probably agree. The film's score from Mark Mothersbaugh is as fun and vibrant as the film itself, but that song. That damn song. It permeates your every waking moment after you've listened to it, beckoning you back to listen to it one more time. Or, if you want a little variation, check out the version by Tegan and Sara along with The Lonely Island. Or there's the Unplugged version with Sammy Allen and Shawn Patterson. Or how about the instrumental sing-a-long bonus track included on the soundtrack. Sure, Will Arnett as Batman singing "Untitled Self Portrait" is all fine and dandy, but Everything Is Awesome! You guys, Everything Is Awesome!!! Guys…? Was there any question Guardians of the Galaxy was going to end up on this list? 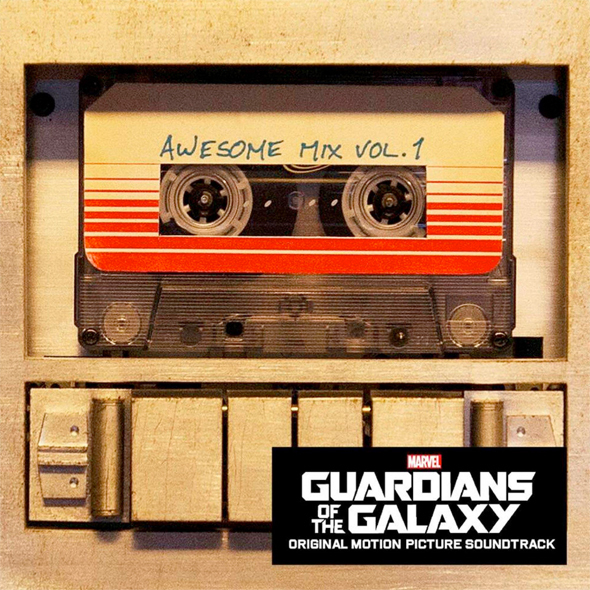 Peter Quill's Awesome Mix Vol.1 provided plenty of '70s hits for the Guardians to cry havoc to and offered the film more than a few iconic moments. How about Starlord singing and dancing to "Come and Get Your Love" by Redbone? What about the team getting ready to The Runaways' "Cherry Bomb?" And I know none of you have stopped thinking about Baby Groot dancing to Jackson 5's "I Want You Back." Add Tyler Bates' solid, sci-fi score, and there's plenty for your ears holes to enjoy Guardians of the Galaxy through nostalgia. Let's not forget, however, the amazing Awesome Mix Vol.0 the cast and crew listened to while filming Guardians, a track list that includes such off-the-beaten-track gems as "Never Wanted to Dance" by Mindless Self Indulgence, "Start Wearing Purple" by Gogol Bordello, and "Party Hard" by Andrew W.K. There's enough Guardians-related music out there for everybody, and guess what. It's all cool. Here we are, back in the '80s. What else would you expect from a film described as "Halloween meets The Terminator."? 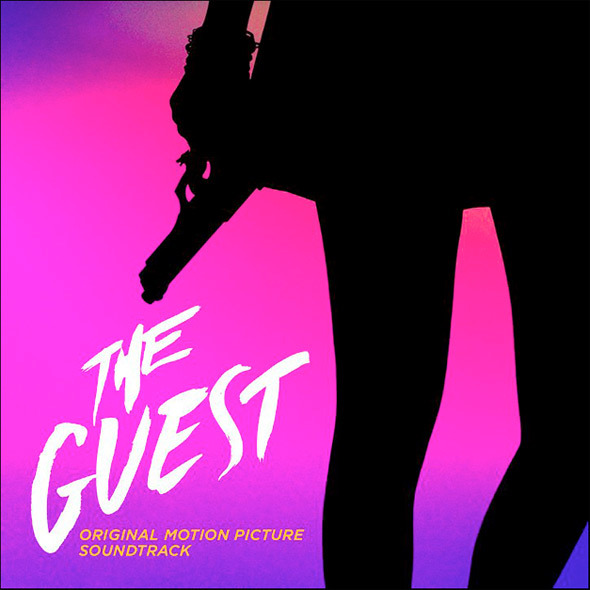 As with You're Next, Adam Wingard puts together a stylish, cool, pulsating soundtrack for The Guest, a quasi-gothic thriller that utilizes its Halloween setting as much as it does its '80s, Terminator vibe. The score by Steve Moore fills in the gaps nicely, but its tracks like "Hourglass" and "Omniverse" by Survive, "The Magician" by Mike Simonetti, and "Anthonio (Berline Breakdown Version)" by Annie that really get the film's energy pumping. Every track found here could be considered an '80s-child's jam, and Wingard should rest easy knowing he's put together one helluva cool playlist that is as badass, as bodacious as the film he's given us. While we're on the subject of getting our heartbeat pumping. What would a Top 10 soundtracks/scores list be without a little Hans Zimmer? 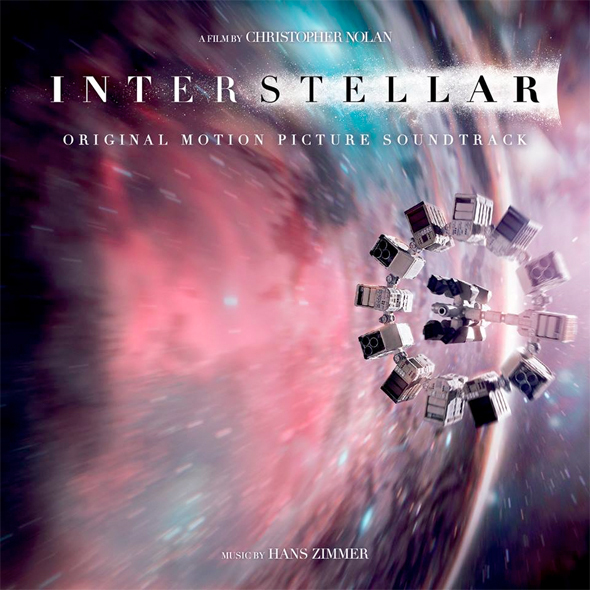 And, while many are claiming the music that accompanies Interstellar to be standard Zimmer with pulsing rhythms and epic flourishes, I find it to be most interesting and creative scores in years. It moves with such a beauty and pace that it ends up transcending Christopher Nolan's film in many spots. Zimmer has always delved deep into hard drums and bombastic themes. Sure, some of his scores overtake the action at hand, even when someone like Nolan or Michael Bay are giving us their explosive all. That's not where Zimmer's score for Interstellar plays. It's a collection of music put together with care and passion alike, a soundtrack full of music that moves its emotional gauges with a delicacy. Interstellar is a masterfully-created adventure into the far reaches of our universe, but its music is the element that knows precisely how to reach into your soul. It does it better than the film itself, and, added bonus for just listening to the soundtrack, you never have to listen to Michael Caine recite that damn Dylan Thomas poem. Eccentric but appropriate for the film it accompanies, gothically cool yet wondrous in its beauty, Jozef Van Wissem and SQURL's soundtrack/score for Jim Jarmusch's film is all that it needs to be. Only Lovers Left Alive is arguably Jarmusch's best work to date, a love story of crestfallen creatures who pierce their way through dark, depressing nights. Its music dances with the director's images, riding alongside every moment with the perfect amount of influence. Alone it's an even more magical trek through strange, Indie pangs and cool, Grunge-worthy riffs. Wissem and SQURL, Jarmusch's own band, have a rather tight collection of cool with the Only Lovers Left Alive soundtrack, a flawlessly fresh album that plays exceedingly well with or without the amazing film it squires. It's hard not to hear Sam Cook's "What a Wonderful World" and not think of the classic comedy, Animal House. Against all odds Paul Thomas Anderson uses the song in his latest, Inherent Vice, and it's such a magical, comical sequence of film that Cook's classic song now has two cinematic visuals with which to remember it by. What's even more astonishing, Cook's song doesn't even appear on the released soundtrack. That isn't keeping it from being a perfect collection of found classic gems and the quirky, lively score from Jonny Greenwood. As with their last collaborations on There Will Be Blood and The Master, Greenwood brings an astonishingly appropriate series of musical tracks to Anderson's brilliant imagery. Can's "Vitamin C" and Neil Young's "Journey Through the Past" play effortlessly next to Greenwood's excellent guitar licks and keyboard tricks. It's as much fun a journey listening to the album without Anderson's surreal and visceral images, not to lessen those in any way at all. 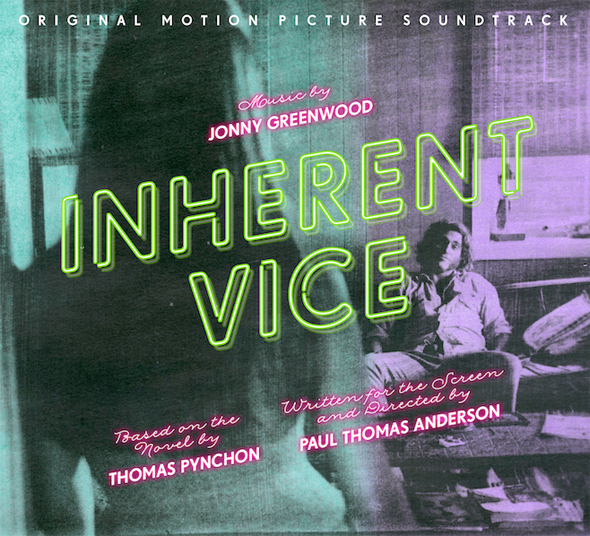 Inherent Vice proves itself as the movie experience of the season, and it's got a sensational soundtrack to match. Finally, I'd like to throw out an honorable mention to Jetta for her cover of the song "I'd Love To Change the World," which appeared in not one trailer for a post-apocalyptic, action epic starring Jason Clarke but two. The trailer for Dawn of the Planet of the Apes and Terminator: Genysis utilize the piano sounds that come at the beginning of Jetta's melancholic song. Easy or lazy creative decision? Possibly. Or maybe Jetta's music is the perfect accompaniment to the end of the world. Stay tuned for more countdowns looking back at 2014, and be sure to check out Ethan's list of the Top 15 Best Official Movie Posters of the year. Do you agree with Jeremy's picks? What were your favorite soundtracks and scores of 2014? THE GUARDIANS OF THE GALAXY OST is pure gold. I can still listen to the whole thing front to back any day. So interesting, and I know most people agree with you, but I thought most of the songs choices were meh. Yes, no Love, AGAIN, for John Powell? And what's about "Gone Girl"? Freaking awesome OST. "Self destruct sequence in T minus 10, 9, 8..."